We love to cook in the Spicy Sprinter. That said, where would we be if we didn’t travel with SPICES? I was pondering how to take along our favorite flavorings without having large jars to take up precious cabinet space or roll around in drawers. I found a great solution! It’s great for an RV, tent camping and even airbnb travel. 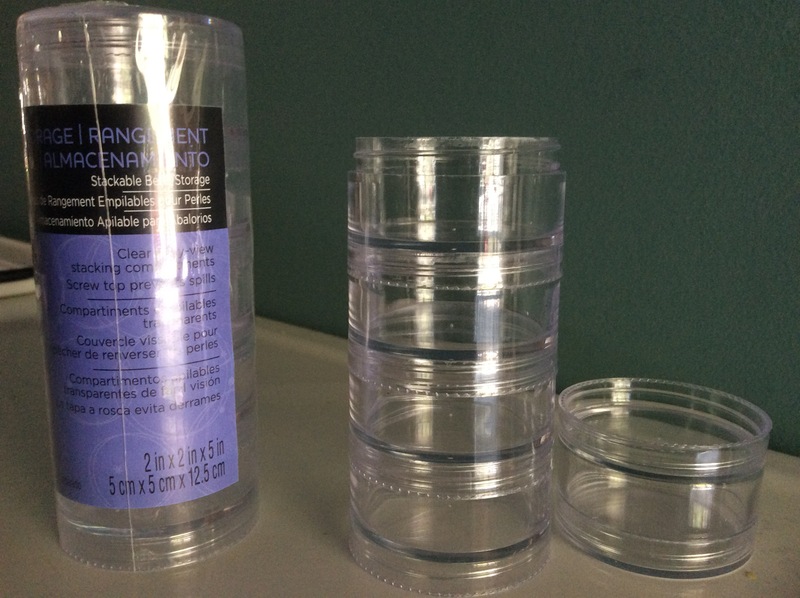 Stacking bead storage containers used by jewelry makers and crafters. I found these at Michaels. They were $2.99 for a set of 5. They also carry some larger and smaller depending on your needs. These just might have other genius applications, right?! These hold about 3 tablespoons each. Enough to get you by for most trips. The entire stack is as tall as one Spice Jar. 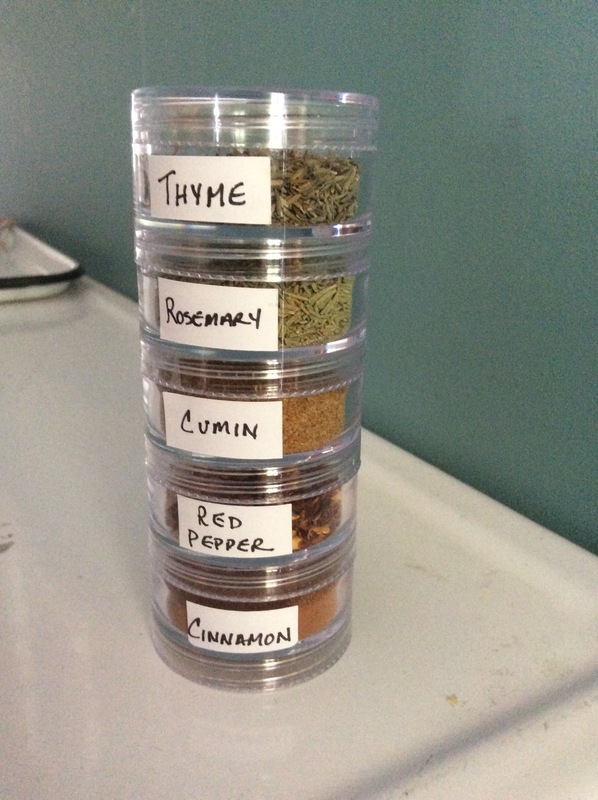 Two or three of these and you’ll feel like you have your entire Spice cabinet with you. Get SPiCY! Generally meaning hot and full of flavor. Exciting or entertaining, especially through being mildly indecent.